more akin to a vacuum cleaner in one's wallet. The name 'Net Zero' has been bandied about as the name for an internet business, education outlet and probably for a fishing apparatus that frees fish. Most notably, in the world of power usage efficiency, it has been linked to homes designed to have their own power generation, maybe even sell excess power back to the grid. Truth be told, in my estimation, use of the term net zero in such a limited context is anathema to its true potential, everything. 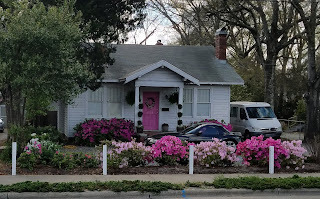 A house on a city street with water, sewer, gas, electricity, cable, satellite, trash and lawn care hardly represents a true net zero moniker just because excess solar energy is creatively morphed into an electric bill reduction. The NCSU Solar House, built in 1981 by Professor Herbert Eckerlin of the Mechanical & Aerospace Engineering Department, was created to promote and demonstrate renewable energy technologies to the community. The house features 5 kW of solar PV panels, solar water heating, a ground loop geothermal heat pump, efficient construction and insulation, LED lighting, and is designed with several passive solar features that further reduce energy costs. The site was used to conduct numerous renewable energy research projects, educating undergraduate students, and enabling graduate students to write research papers, theses, and dissertations. 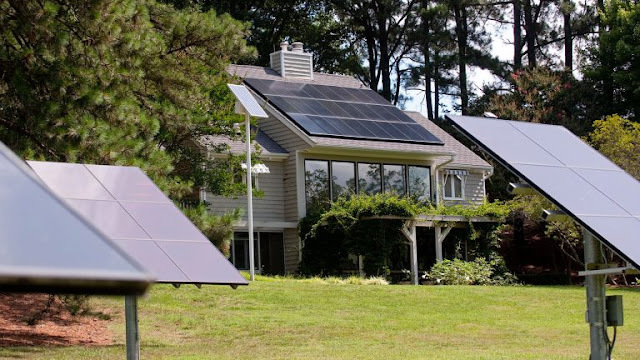 The Solar House at NCSU, Raleigh, NC comes fairly close to net zero and can be visited throughout the year. Even with such an inflow of time, money and technology the display is still static. Situated in a state that has arguably one of the best estuary and climate variations in the USA, the house does not move through that glorious environment. If it were to actually move through such vast environs, silently, fuelessly, while catching fish and clearing drinking water, ah, would that ever be a definitive net zero! Net is the product, what remains when the casing is removed. For those folks so substantially planted in a house, the casing would be the land upon which it is set. Zero is a bit less abstract, most easily appreciated when one's wallet is left at home. There, that should clear things up. 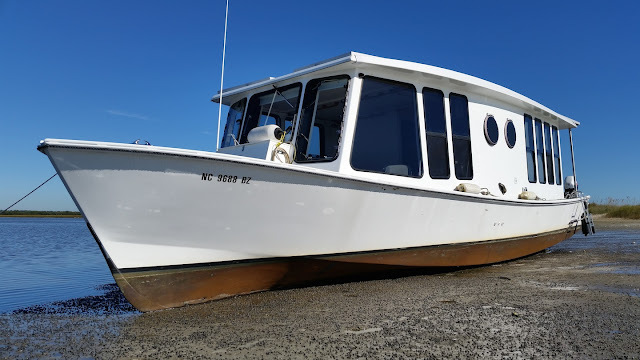 A boat has no casing, in that it is free to bump into anything people and nature can muster. No trees, hedges, fences or rolling solid ground as a bulwark, just mercurial waters at natures whim. Yet, like a house, a large electric gathering roof area may supply enough generating space for sailboat speed propulsion. 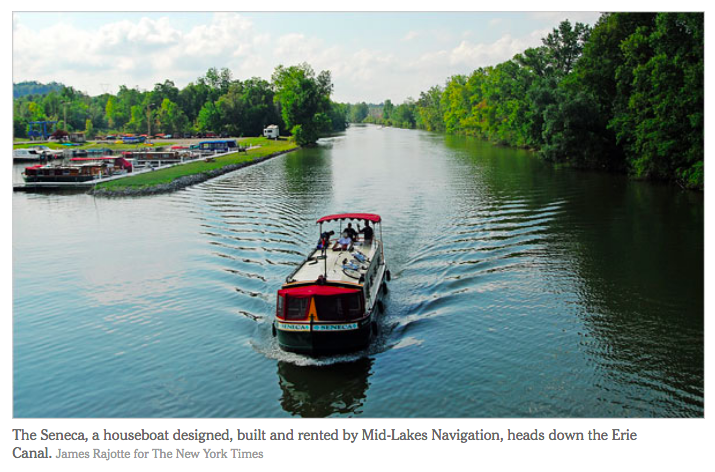 A wonderful picture of a large roofed American made canal boat without a solar array, a diesel engine is instead used for drive propulsion and electric generation on board the vessel. Net in this case has leapt the paradigm shift when used in this new marine off grid application. 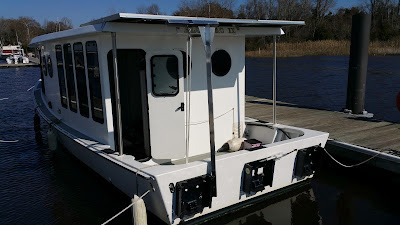 With the rise of new thin, lightweight and form fitting photovoltaic (solar electricity) modules, a well planned boat roof can mount enough modules to not only drive the boat but also provide optional creature comforts (air conditioning a yes). 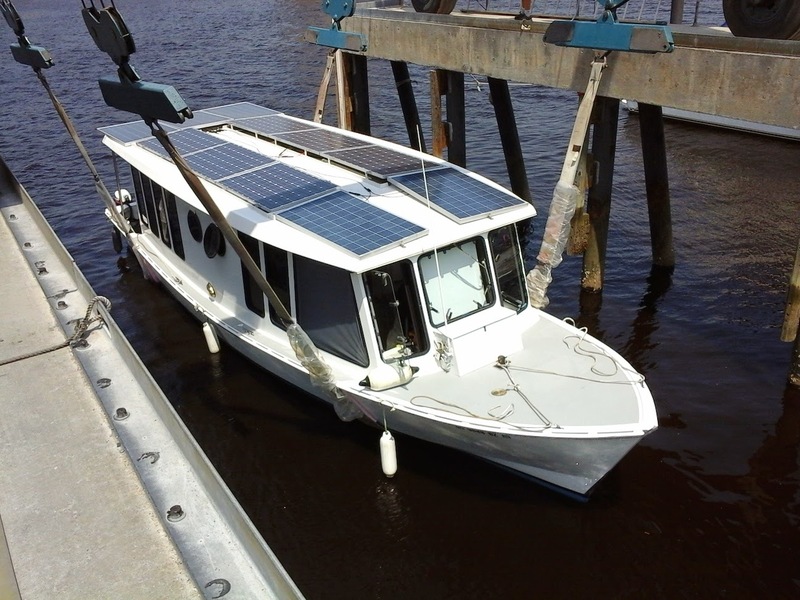 The roof generated power is stored in batteries which provide for speeds up to 7 knots and a cruise (sailboat type) speed of 3 to 4 knots. 24 of these brand new flexible 6 pound 22"X65.4" modules will comprise 5 panels of the roof's total array. The final array will produce over 4,000 watts of clean electric power, equal to 5 horse power. 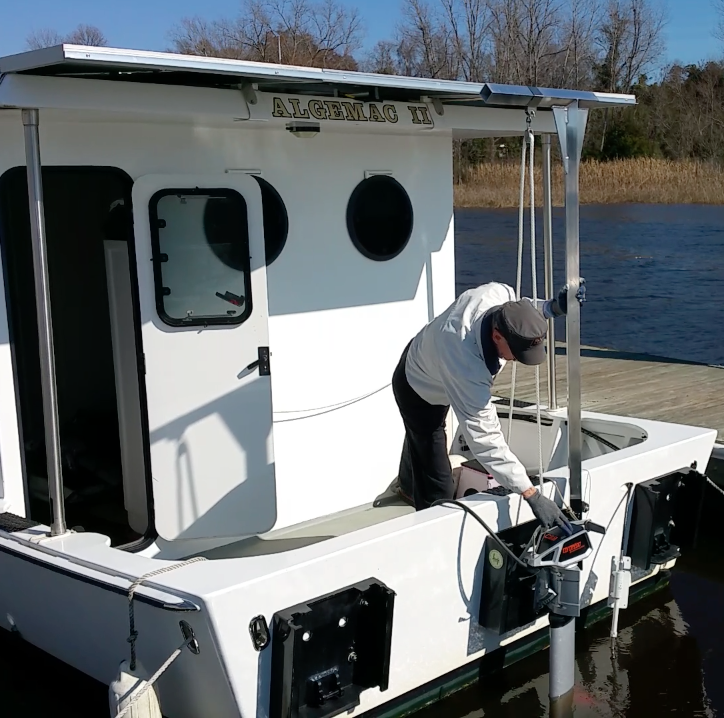 Zero becomes the additional cost of power after the boat's initial purchase. 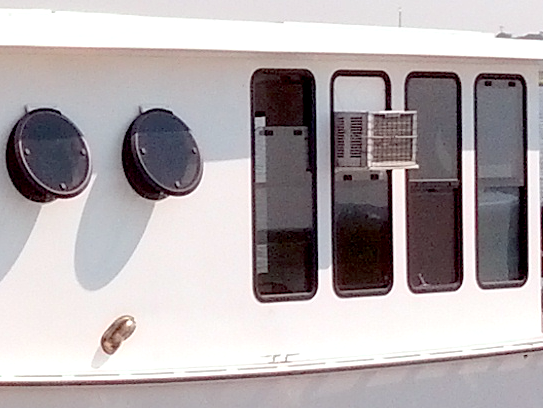 With no additional cost of fuel, just 5 horse power from the roof's 4,000 watts, will drive the boat at 3 to 4 knots. 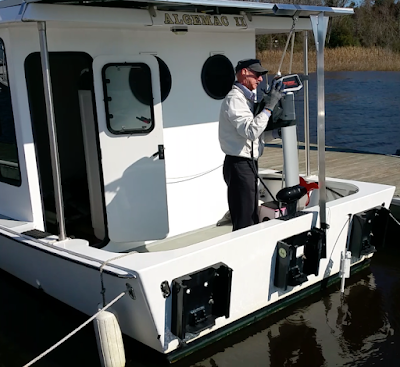 With only 12 horse power the MOG boat can attain the 7 knot hull speed, which is just 66% of the 18 hp that is mounted on the boat. 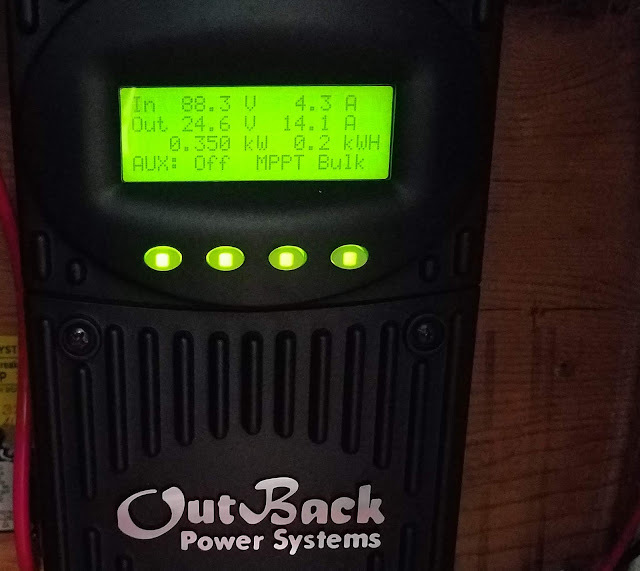 The first day after the boat is completed and out of the boat shed, power streams into the banks of batteries, silently awaiting the captain's quest, no refueling needed. What's in your wallet, a fuel card or sunshine? 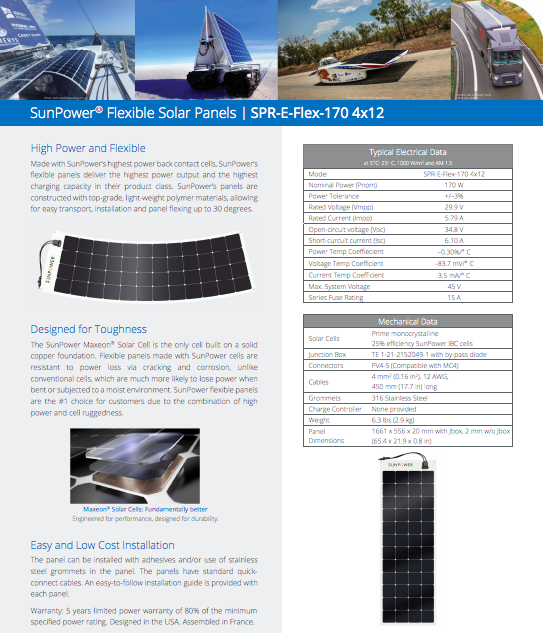 The future purchase of the 24 - 170 watt flexible modules (when available) will transform the roof array so that there should be enough electricity inflow to create an even greater net zero machine. 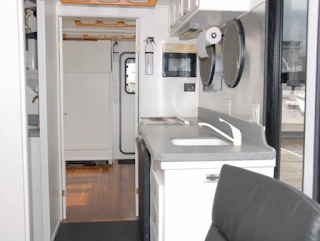 Not just a home but a home that can travel to nearly 2/3 of the USA by coastal and inland river waters. A vast lock and dam system has been in place for nearly a century, a few are nearly 200 years old. 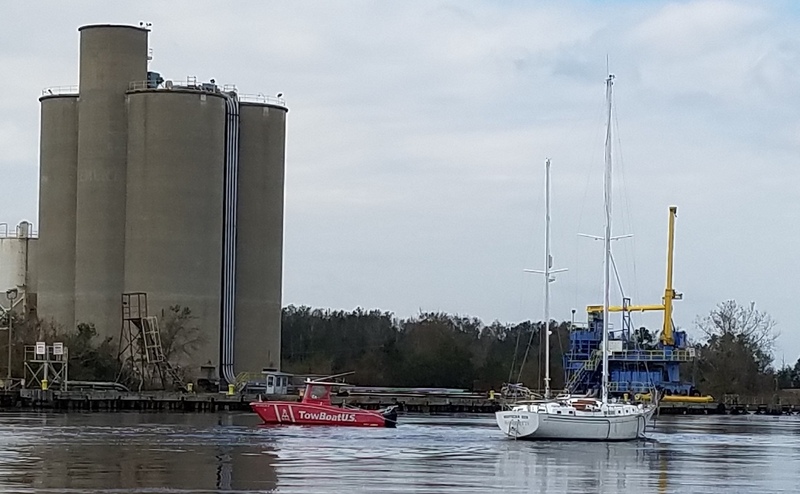 These waterways have been used for commercial barge traffic but are now being used by pleasure craft in increasing numbers. 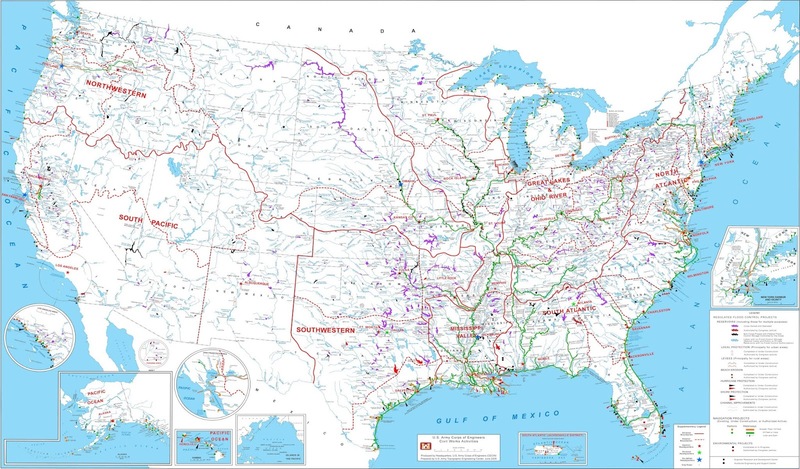 This USACE (US Army Corps of Engineers) map shows in green lines the commercially navigable waters of the USA to include several west coast rivers that reach inland. Readers should be able to double click on the picture to enlarge. 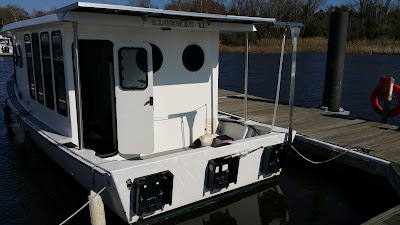 The map above is provided to illustrate the large number of states that are accessible by the inland and coastal waterways. A whole lifetime can be spent on these waters that touch huge cities as well as towns of just a few people. 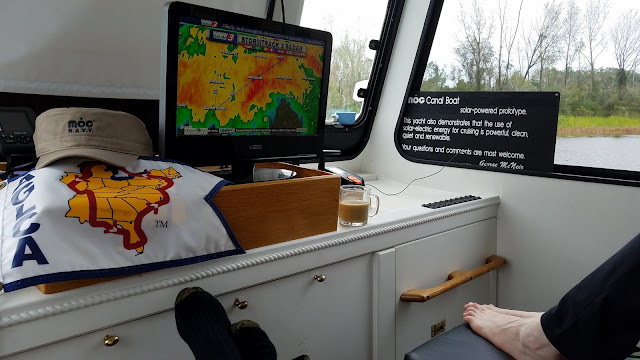 Waterways that adjoin the Erie Canal along with the Great Lakes allow travel to Canada as well as shown on the map below.The MOG, Totally Electric Powered Solar (TEPS)tm boat can be the magic carpet for a dream come true. The New York State Canal System comprises four canals. 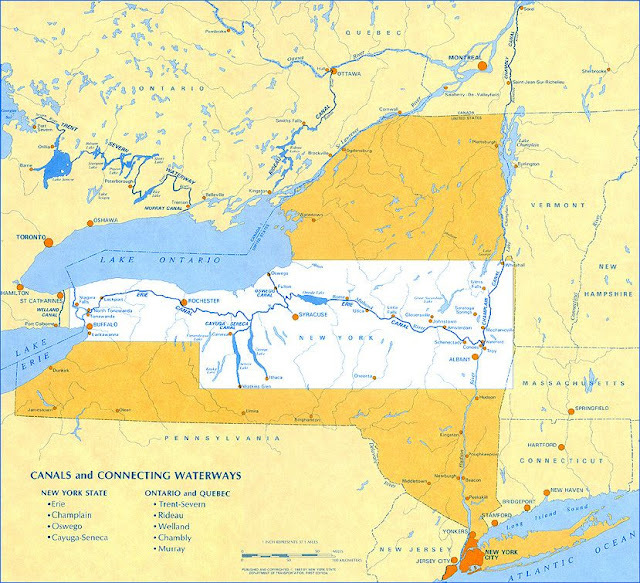 The Erie Canal connects the Hudson River and the Great Lakes, while the Champlain (right) links the Hudson River, Lake Champlain and the St. Lawrence Seaway. Source: New York State Department of Transportation. Your comments on this theme are greatly appreciated. a look at the eighth floor balcony from the pedestrian perspective. Yes that is the USS NC across the river. This was to be the summer of making short to medium trips around North Carolina while adding miles to the Great Loop. The one hangup left has nothing to do with the boat, instead it is with the land base known as our condo on the Wilmington, NC waterfront. It is still for sale and we intend to sit tight here in Wilmington during the sales process. Built to be incomparable, it has remained true to the word. There will be no actual comps (comparable condos) for another nearly two years. 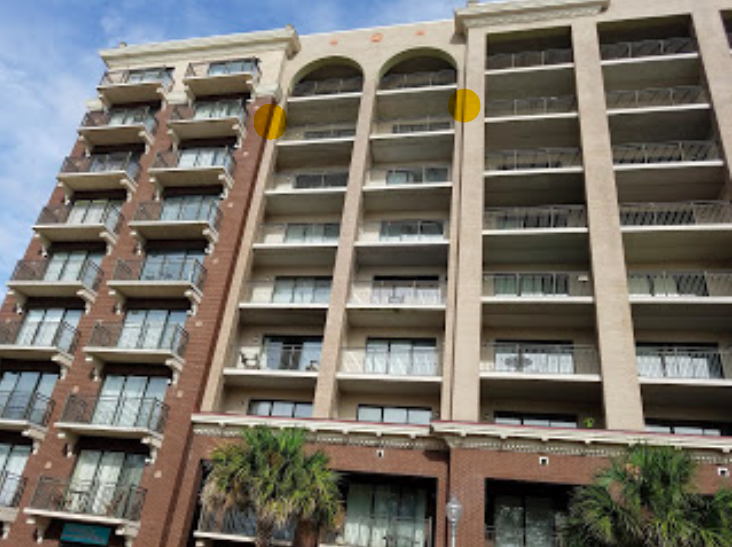 Next door to our condo are the diggings for River Place condos that should be finished in 2020. They had a number of fits and starts but are now sinking support piles deep into the ground. 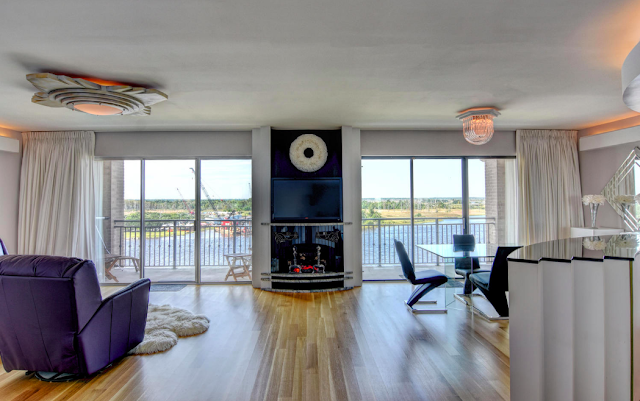 The main difference is that our two bedroom, two bath 1,200 SF condo has both river and city views making it more expensive than the condos that are on their way. With no comps it is more difficult to sell but the reward for the buyer is again, incomparable. Down sizing for the two years+ of the Great Loop experience is now almost completed, no small task. 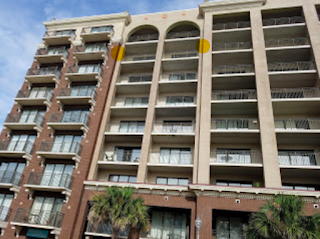 Neither the wife or I want to be miles away only to get a phone call that some item at the Water Street Center (our condo building) needs attention and personal involvement. Water, sunshine, swimming and food are all I want on my mind, not houses, farms and condos, all except one that are now off our sell list. Half a dozen well vetted potential buyers have come through the unique condo. Not a one has been anything but impressed and generally using the words jaw dropping. 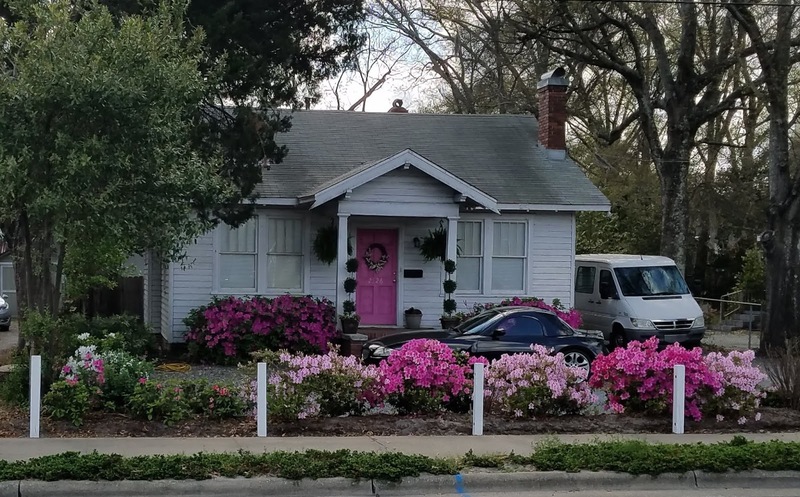 The problem is that they too are downsizing. The condo is the right size, two car free parking, in the middle of the city life, etcetera but people have to make decisions to discard stuff, stuff that kids, relatives and friends do not want. However, people are grinding through for their Great Loop experience or a final 'just the right size' retirement place. 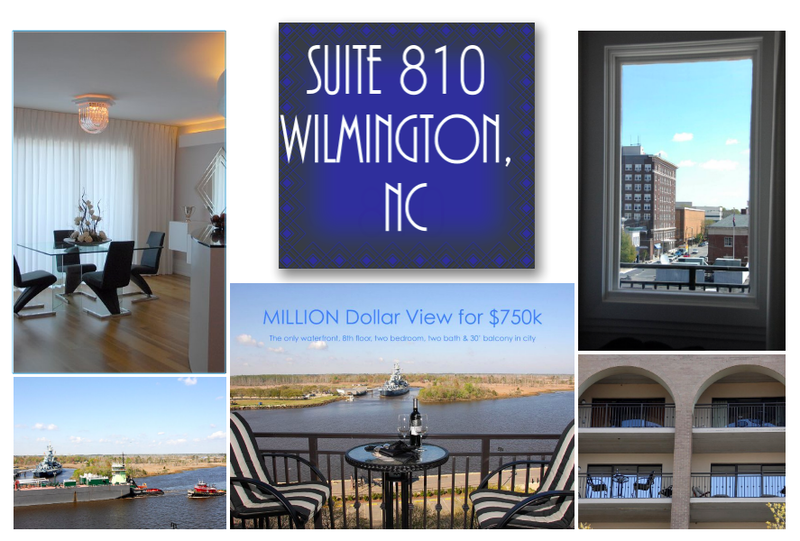 Thirty feet of waterfront, eighth floor, 7 mile view balcony with a 180 degree view of the Cape Fear River. The entrance balcony on the City side of the condo is just as sweeping. We have entered the Create the Future Contest using a different point of view. 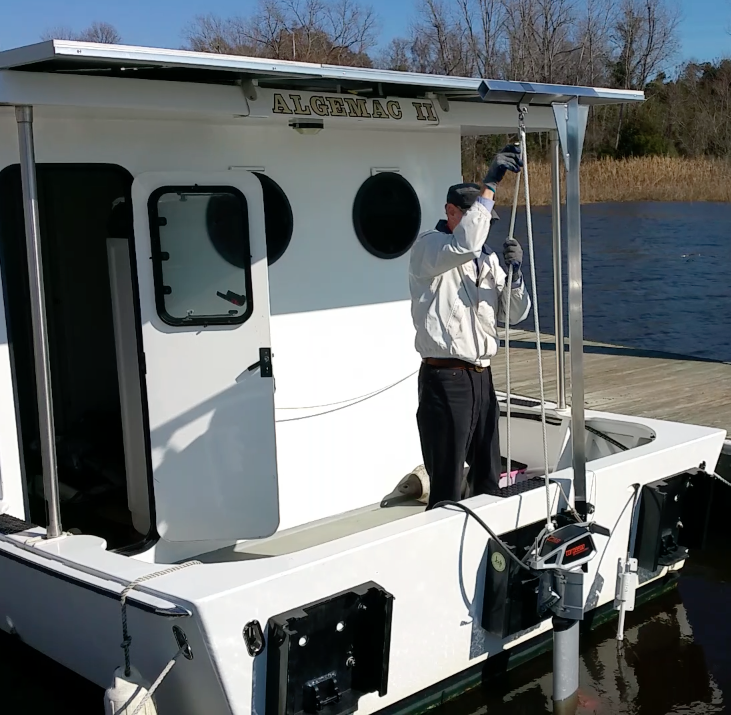 At the insistence of a few boat and land folks, we placed the Totally Electric Powered Solar (TEPStm) boat in the competition classification as Sustainable Technologies. 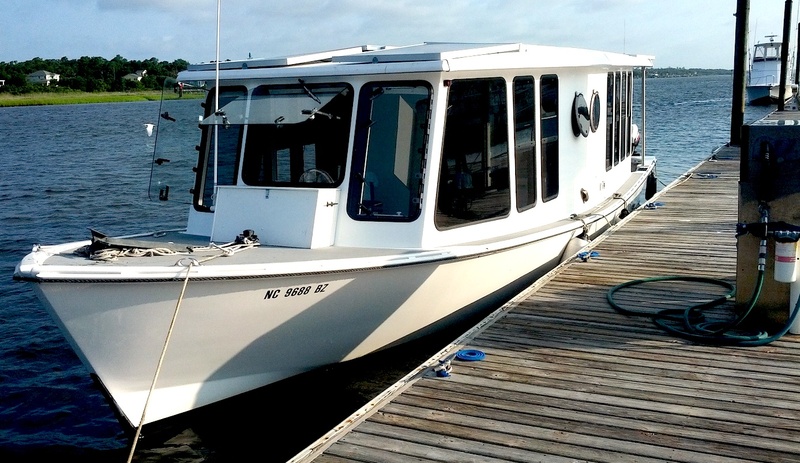 Our take is that it is a superb Bug-Out destination, which happens to be a boat. Please take the opportunity to see the entry through the link attached and also the link to become a CR4 Engineering 360 forum member if you want to vote. During the winter, the January-February months at about 34 degrees latitude, provide a low sun for the solar modules atop the boat. Even on a very clear sunny day at this latitude in Wilmington, NC, the electrical capture rate is low. In the summer the sun light is more directly over head, yielding a much better rate of electrical collection. The winter sun test was to help us understand how to find and use the balance point between incoming sun energy to simultaneously replenish the drive motor(s) usage under water travel conditions. Except for the three motors being used for exit and entry to the slip, just one motor was used, with the other two dragging in the water. Later, the two draggers will get lifted, just not this time out. It is quite ordinary to use math to indicate usage in watt hours but those numbers do not give the captain a realistic feel of how tide, wind, clouds, humidity and seasonal sky position directly effect boat control. Just as with a wind sail boat, a solar sail boat takes practice getting use to the interplay of the many facets of power usage. On the road (um) on the river again to probe a bit deeper into how the boat handles and refuels with a winter sky. Our battery bank system is comprised of standard flooded lead acid batteries of deep cycle design, similar to a car battery but having the ability to provide a longer duration of power than a car battery's brief high load for engine starts. 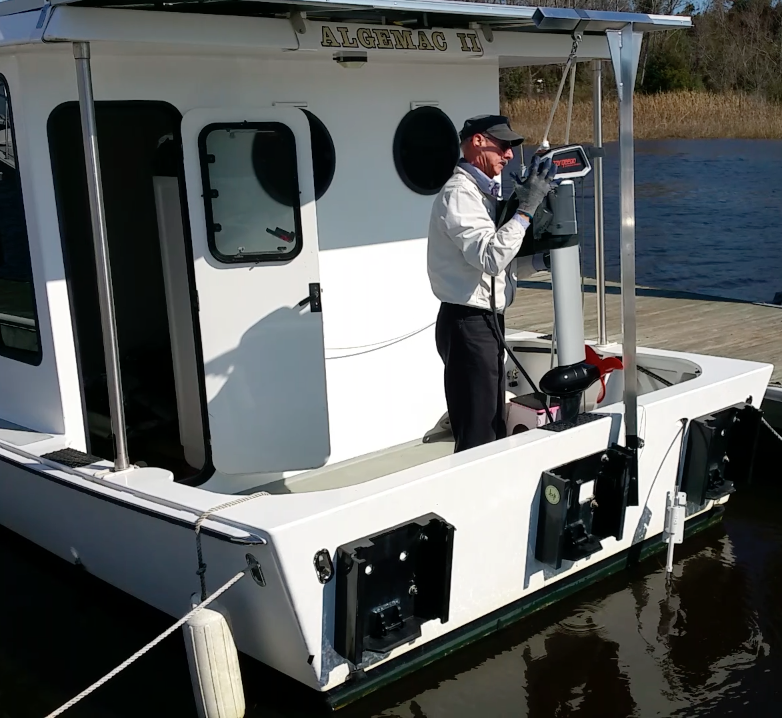 We have finally gotten a good sunny winter day with low wind with reduced tidal flow in order to set a base line of drive power needed to make the boat move with control and maneuvering capability. Once out of the slip/fairway and into the river, there are no protections from wind and the mix of river & tide flow. 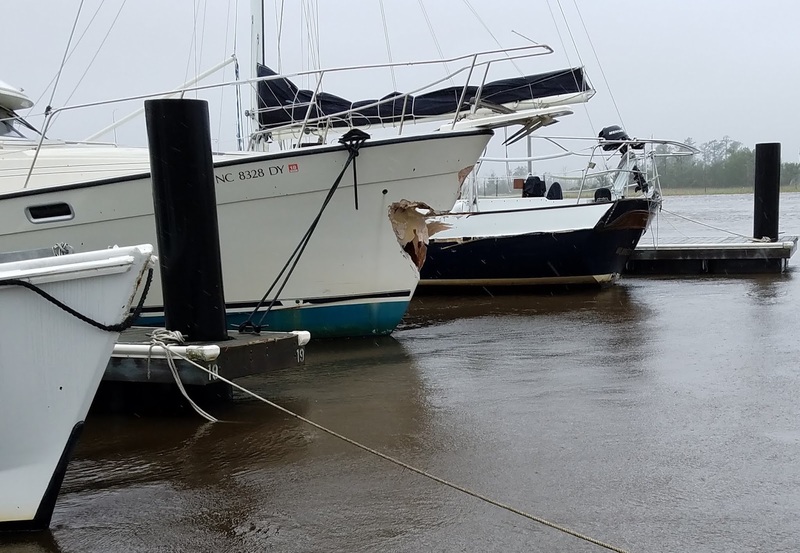 Eddy currents near and around the marina and especially at the center of confined bridge water flow tend to shove boats around, requiring the capain to increase the drive power to offset swirling water conditions. 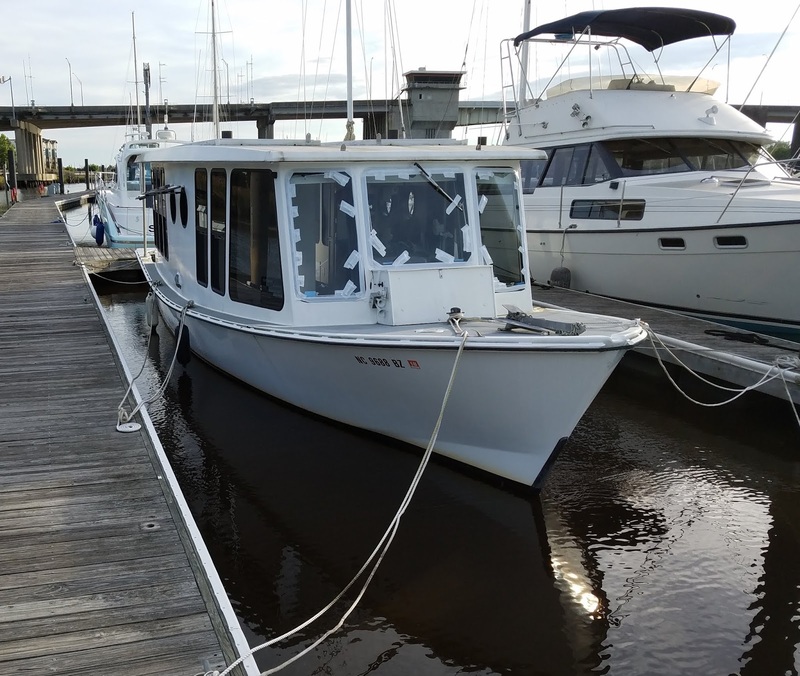 We found that a speeds of 3 to 5 miles per hour were needed to keep the boat on desired headings in average river & tide conditions, require 300 to 500 watts of continuos power. In order to keep the batteries from being depleted, the solar modules atop the roof had to replace such an amount. That amount was provided, allowing operation that although comparetively slow for other boats, was suitable for rudimentary navigation. Around the bridge, very squirrely currents require a bit of steering. Awaiting the closure and reopening is rewarded with an addition of energy to the batteries. We were definitely not rocketing along at 3 to 5 mph but there is no range limitation. If you are retired, as we are, time is more than money, it is fuel. Taking a close view of the underside of the Cape Fear Hilton railroad bridge on the return leg of our brief sojourn. Awaiting the bridge opening, having a snack, reading, taking pictures or conversing makes use of the sun. Quite amazing that a few minutes with a large enough solar array, will top off the battery banks. After a quarter century of collecting the sun's energy this way, the fact that we are actually doing such is still impressive to me. The bridge and the batteries are up, continuing the equilibrium of power in, power out. There will be only a few more nice days such as Tuesday February 6, 2018. These videos will serve to remind us of how we got out and back, at what level of energy, distance, time and ease of control. Heading back to the slip with grins and more knowledge about solar sailing. 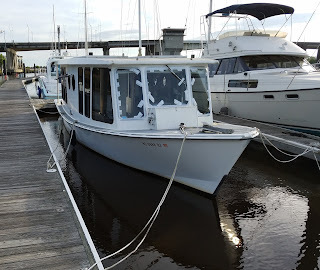 Once back in the slip we just became another 40 foot boat. However, until you have piloted such a boat, just using the sun, no fuels, no wind, no sails, no noise and no smells, you will have missed the power of nothing. Although the Torqeedo Cuise 2.0 is very light weight at only 36 pounds, we have attached it to a motor mount jack plate of nearly 20 additional pounds. The plate easily slides into and out of the jack plate receiver bolted to the transom, making it possible to remove the motors when leaving the boat for a long period or to change a propeller while in deep water. A small permanent strap will be added instead of a lasso around the motor's top. 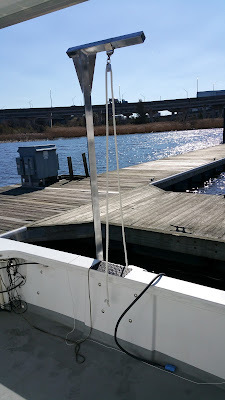 The idea of performing the task (with or without the heavy jack plate) can easily become precarious if the wind and water gets rough. I have placed and removed the motor with and without the jack plate, alone, with just my bare hands. It is easy enough but should there be a departure from calm conditions, I want a much more controllable rig. A single sheave pulley is used for the lift or a double sheave pulley can be used. With some 2 by 2" wood, cardboard and tape, a prototype was cobbled together to fit onto the existing jack plate assemblies (typically used for 300 hp outboards of about 600 pounds). With some diligent effort, the design emerged into 2 by 2" square aluminum tubing, pulley set, attach/detach plate all to be TIG welded together. 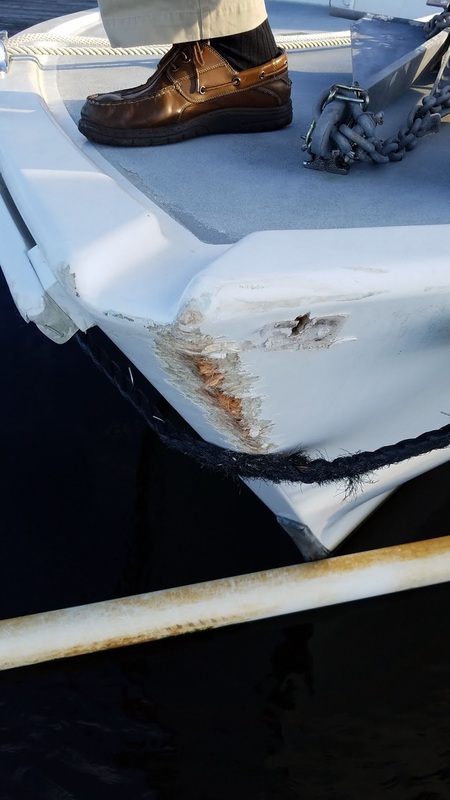 Torqeedo was very smart in providing the outboard with a reinforced rubber skeg. The skeg allows one to rest the motor on the transom before lowering it to the cockpit floor. The result is a lightweight, storable, easily deployed, simply used and quick operating lift for electric outboards of about 100 pounds. The current Torqeedo motors are about 36 pounds and with the jack plate attached, is about 56 pounds. 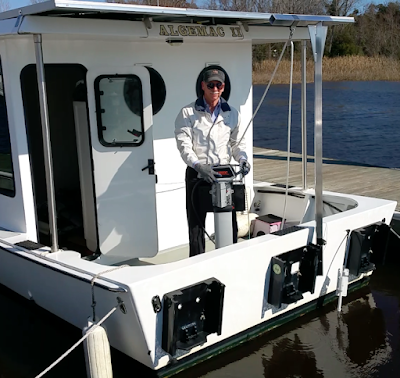 The new lift is a most desirable addition to the onboard tackle and can serve a few other services to boot. stow the outboard inside the cabin. Lift removed from center mount and attached to the port motor jack plate receiver. Then the lift is removed again, simply snapping onto the starboard jack plate receiver.